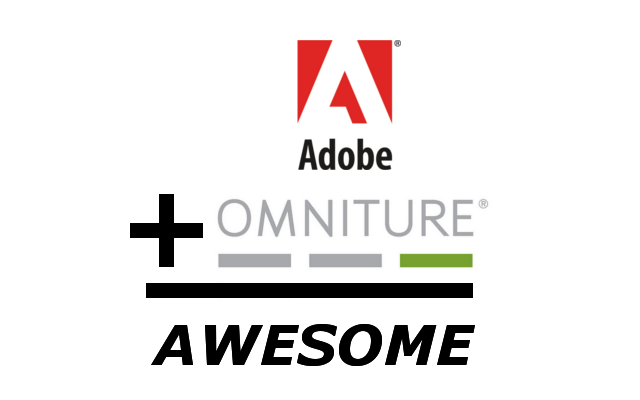 Adobe – Omnipotent with Omniture? Web Analytics 800-pound gorilla Omniture was picked up this week by 1,600-pound solutions provider Adobe for a mere $1.8 billion. This was a fantastic development for network-centric marketers and hopefully will set the stage for things to come regarding behavioral marketing and campaign management. Despite the wailing and gnashing of teeth by the “creative” camp, metrics are here to stay and will continue to drive marketing efforts, which are increasingly Network Centric. Now metrics will be more easily embedded in creative process. In other words, the integrated Adobe-Omniture platform will enable creative individuals and agencies to incorporate analytics at the beginning of the online creation process. As a result, Adobe Flash brings more value to marketers. Creative types will have to evolve to understand and master this new skill requirement. The ability for executive management to better see how marketing efforts impact sales will be greatly enhanced by this watershed event. Of course the process of merging two corporate cultures will be as challenging as it is for any other pair of large companies, but if they integrate the product properly, there will hopefully be a unifying rally behind it. And surely there will be competitors attempting t0 obtain the same capabilities in their product offerings. For Network-Centric Marketers, this merger is two big to fail!